Find your energy guzzlers & track your power usage. Easily detect building & electrical problems that are invisible to the human eye. Upgrade your lights to LED and start saving. Innovative items to reduce your energy usage. Reduction Revolution is an online store which specialises in energy efficiency. We're here to help you slash your power bills and live more sustainably. Our range includes energy monitors, LED lighting and other energy saving devices. Reduction Revolution Pty Ltd is an Australian owned and operated business. 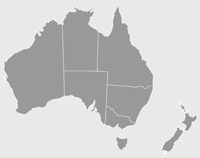 Since 2010 we have supplied over 40,000 customers across Australia & New Zealand. We are national distributors for leading brands including Philips, Bosch, Osram, FLIR, and Efergy. You can read more about us here. See also our frequently asked questions.